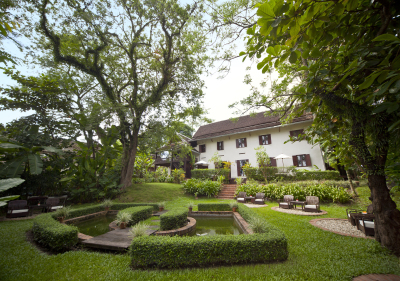 Offering idyllic experiences to all who visit, 3 Nagas Luang Prabang is a charming escape to a more simplistic era. Centrally located and surrounded by authentic local life and colour, hotel guests can observe Buddhist monks collecting alms each morning, or spend evenings pondering the existence of the fabled serpent spirits believed to protect the ancient town. 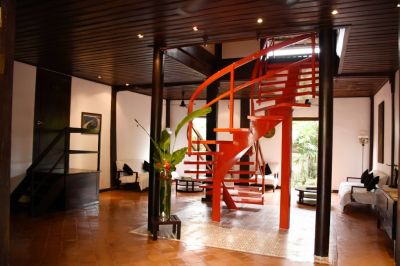 3 Nagas Luang Prabang is a true sanctuary that inspires a sense of bliss and inner peace. From personalised airport transfers and local tours to the on-site restaurant serving rave-worthy Lao cuisine, 3 Nagas Luang Prabang offers an intimate taste of the warmth and sincerity made famous by the local culture. The hotel’s extensive library, specialised in culture, architecture and colonial Indochina, along with its insightful ice-cream-making course leaves guests with cherished memories of Luang Prabang. In the heart of Laos’ cultural and spiritual centre, at the confluence of the Nam Khan and Mekong Rivers, the UNESCO-protected 3 Nagas Luang Prabang is the embodiment of a bygone colonial era. Comprising three refurbished historical homes, each more than 100 years old, the iconic hotel is a sanctuary for history and culture enthusiasts. An elegant blend of vintage French architecture and classic Lao design, 3 Nagas Luang Prabang has 15 expansive rooms and suites in the Lamache and Khamboua Houses. Built with the help of logging elephants over a century ago, the houses showcase beautiful hardwood structures, torchis and clay tile floors. Exuding comfort and grace, each room has an attached terrace or balcony.